The research team, led by Qilin Cao, M.D., principal investigator and associate professor of neurosurgery at UTHealth (The University of Texas Health Science Center at Houston), discovered that transplanted adult stem cells (oligodendrocyte precursor cells or OPC) from the spinal cord could become oligodendrocytes. The new cells helped restore electrical pathways of the spinal cord and therefore, function, in a process called remyelination. Cao said two important discoveries were isolating precursor cells from the adult spinal cord and, prior to transplanting them into the spinal cord, genetically modifying them to express ciliary neurotrophic factor (CNTF), a protein that encourages nerve growth. In preliminary experiments, also published in this paper, CNTF was shown to facilitate survival and differentiation of OPCs in cell culture. Previous studies by the team and other researchers have shown that grafted OPCs survive after grafting into an injured spinal cord and increase movement recovery, but the mechanical connection to remyelination had only been theorized. In this research, results showed that there was significantly enhanced behavioral recovery, return of electrophysiological conduction and ultra-structural evidence of remyelination. Funding for the research was supported by the National Institute for Neurological Diseases and Stroke, the National Center for Research Resources, TIRR Foundation’s Mission Connect. 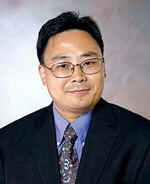 Co-investigators of the study were Dong H. Kim, M.D., chairman and professor in the Department of Neurosurgery at UTHealth’s Medical School and director of the Mischer Neuroscience Institute at Memorial Hermann-Texas Medical Center; and Scott R. Whittemore, Ph.D, professor of neurological surgery at the University of Louisville and director of Kentucky Spinal Cord Injury Research Center.